German music editor and composer Heinz Moehn died 27 years ago, and he never heard his own music played publicly. Now Moehn's body of work is finally making its debut —in Saskatoon. German music editor and composer Heinz Moehn's compositions were largely unknown when he died in 1992 at age 90. Twenty-seven years later, Moehn's body of work is finally making its debut, in Saskatoon. One of the compositions, Moehn's Violin Concerto, has been lovingly carried across oceans, and lived in a Saskatoon basement for two years before it found a home on stage. 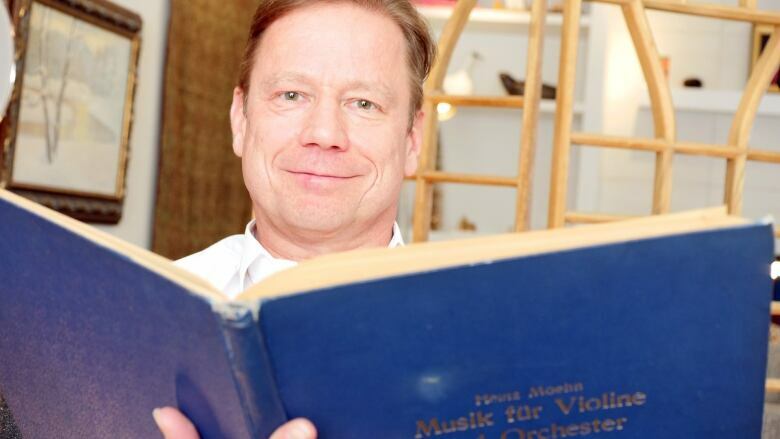 Johannes Dyring, Moehn's grandson, is the one who kept the music close. 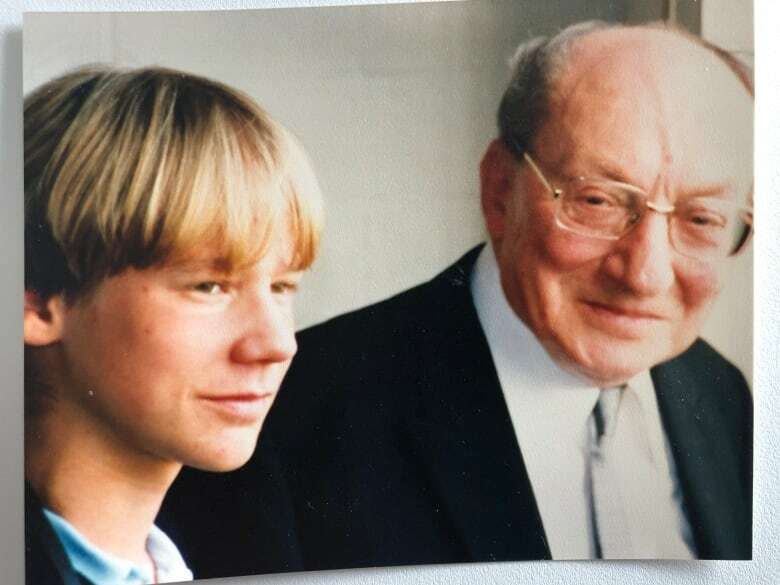 "My grandfather was an artist and it was below his values to promote his own work, so he never really promoted his work after the Second World War." When Moehn died, Dyring inherited all his grandfather's scores with the "serious implication" that he do something with them. He moved to Saskatoon from Sweden in 2015 to direct the University of Saskatchewan's Innovation Enterprise, where he forged friendships with musicians that would prove fruitful for him — and for his grandfather's music. Dyring met with Dean McNeil from the university's music department, and later with Mark Turner and Eric Paetkau of the Saskatoon Symphony Orchestra (SSO), and a plan was set in motion. "What are the odds that I find friends and colleagues like Eric, like Mark, Dean ... that got so excited?" he said. "I'm sure my grandfather was not aware of Saskatoon, but they knew him directly or indirectly." 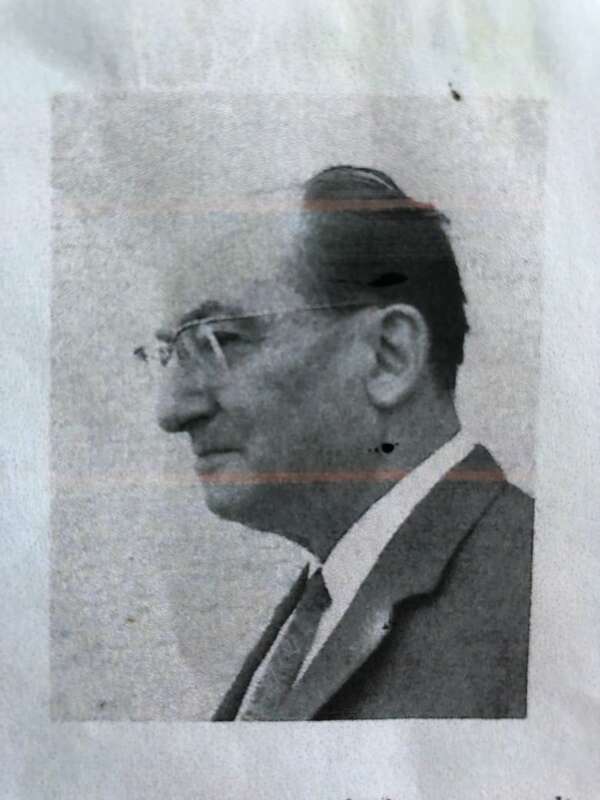 Dyring's colleagues and friends knew about his grandfather even before Dyring met them, because Moehn was well-known for editing classical music scores, specializing in the works of major composers like Mozart. "Composers, of course, need editing like novelists need editing, because you have these manuscripts written by hand from 17-, 18-, 1900s," said SSO conductor Paetkau. Editors sift through the various editions and versions of manuscripts and put them together to elicit a finished product reflective of the composer's original intentions. "Often we don't look at the editor per se, but we look at the edition." Musicians are familiar with Moehn's work, even if they don't always know his name. Paetkau was invited over to Dyring's home, where all the compositions had been stored in the basement. He walked in to see them displayed proudly. "Up on their kitchen island, Johannes put all these scores," he said. "It's wonderful to rediscover." Moehn's Violin Concerto will be performed, finally, on March 23, along with Moehn's edition of Mozart's Requiem in D minor. "So this is beyond imagination," said Dyring. "This is a dream come true for an entrepreneur like me, having tried to find the right people for such a long time." He was "stunned" when he first heard his grandfather's concerto played. Moehn would have been speechless, according to his grandson. "I can see his eyes getting brewed and wet because this is happening again," said Dyring. But Moehn might not be completely satisfied if he were still alive. The composer and editor was a perfectionist, so Dyring says he would probably have wanted to make a few changes here and there.